Donald Trump is not known for restraint. He loves hyperbole and verbally attacking anything that is a potential threat to his goals and agenda. A great example is the media. After years of decrying the media as “fake news” and even describing it as the “enemy of the people,” there is no doubt he loathes the Fourth Estate. There is no doubt there is plenty of “fake news” — and it transcends party and ideological lines. Let’s face it, the vast majority of writers have an ax grind — including those NOT on the opinion page. I have come to believe most news is fake and felt that long before it became a favorite expression of the President. Trump has never called for violence on the media. Period. One has to be very unstable to take the President’s behavior and comments as promoting such. But if the media keeps interpreting his remarks that way, there will be those — again weak and unstable — who will look at the media’s stories as proof that is what the President desires. After the horrible shootings at a newspaper in Annapolis, Maryland, Trump did something very presidential — call for restraint. Furthermore, he used a tone of moderation to get his point across. Instead of encouraging that type of conversation, liberal journalists use it as grounds for attack. After that the Beast went on to do an inventory of all that is wrong with the President’s view of the press. After years of decrying the media as “fake news” and even describing it as the “enemy of the people,” there is no doubt he loathes the Fourth Estate. As the media does an inventory of all the horrible things Trump has said in the past, they are giving ammunition to the weak and feeble minded that would do copycat crimes. Ironically, whenever the media purely trashes Trump without acknowledging or diminishing anything positive he does, they actually increase sympathy for him. 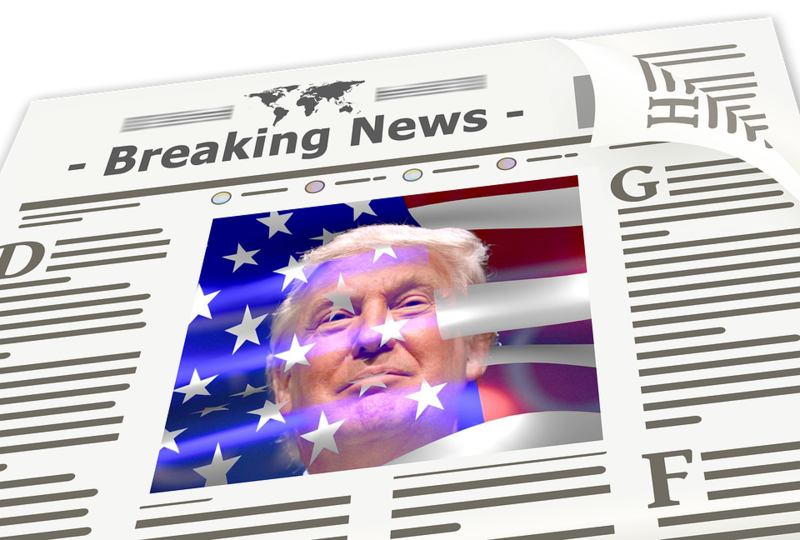 Because of the media’s virtually universally negative stories about the GOP and largely affirming positions for Democrats, the press is almost universally distrusted by Trump supporters and the vast majority of Republicans. Even many Democrats doubt the legitimacy of the media. This is a rare opportunity for the media and the President to agree on something. Surely members of the press wish to feel safer. What a great opportunity to seize that moment, instead of doing stories on the President’s history of misbehaving. In addition to being Publisher and Editor in Chief of US Daily Review, Kevin Price is host of the nationally syndicated Price of Business show on the Biz Talk Radio Network. If you visit PriceofBusiness.com, you can find an affiliate near you or learn how you can listen to the show live online. His show airs M-F at 3 PM ET.